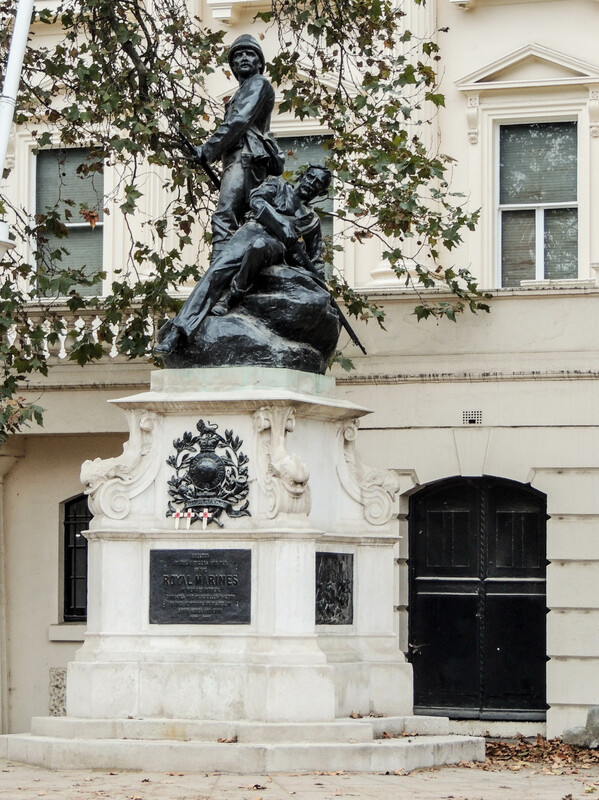 This statue was placed in St James’ Park in 1903 as a memorial to the Royal Marines who had died during the actions in South Africa and China. During world war 2 it was removed for safekeeping and in 1945 was relocated to a site in the grounds of the Royal Hospital Chelsea, moving again 3 years later to its current site in the Mall. 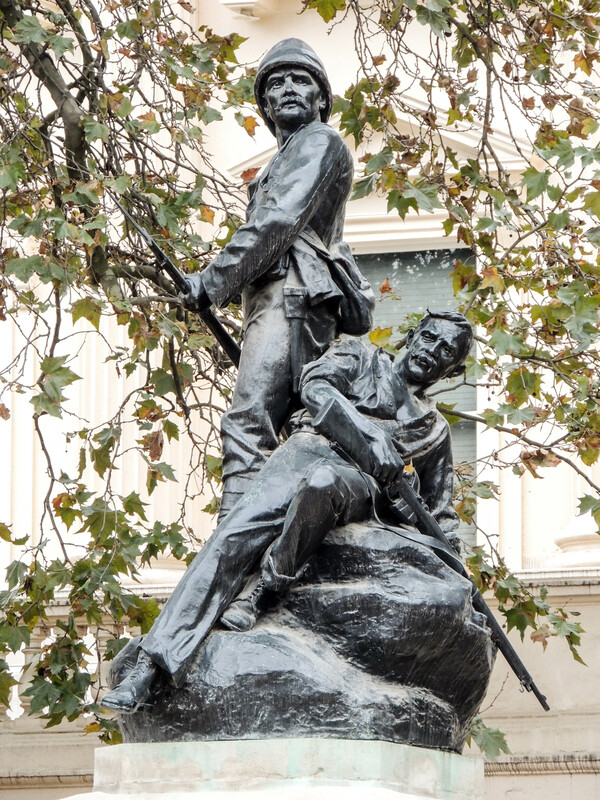 Adrian Jones, the sculptor, had first hand experience of the campaign in South Africa. He had qualified as a Veterinary Surgeon and joined the Royal Army Veterinary Corps, serving in Abyssinia, Ireland, Egypt and South Africa before retiring with the rank of Captain in 1890. 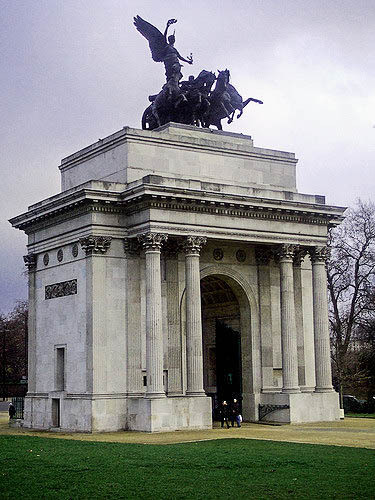 He then decided to pursue a career as a sculptor and perhaps his most famous piece of work is ‘ Peace in her Quadriga’ which sits on top of the Wellington Arch.